Consumers in India can order their favorite Coca-Cola beverages online to be delivered right to their doorstep through the Coke2Home.com e-commerce platform. 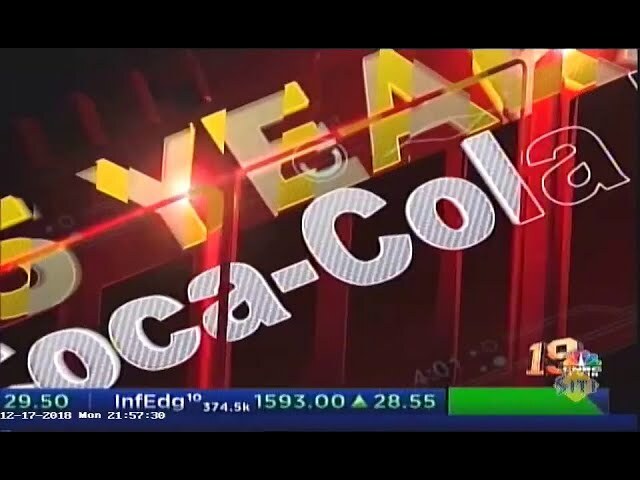 Hindustan Coca-Cola Beverages (HCCB), India’s largest Coke bottler, launched the online ordering and delivery system in May 2013 in Ahmedabad and has since expanded to six additional cities across the country (Mumbai, Bangalore, Chennai, Hyderabad, Noida and Pune). Thirsty shoppers can order from Coke’s full beverage portfolio offered in India – from Minute Maid juices and Kinley water, to Thums Up and, of course, Coca-Cola. HCCB has used Coke2Home to launch new brands including Sprite Zero, Fuze Tea, VIO flavored milk and Georgia coffee, and run promotions and special offers. India is home to the world’s second-largest – and fastest-growing – online user base, a group projected to climb from 460 million to more than 730 million by 2020. And these increasingly savvy users are shopping in addition to surfing; analysts predict that 329 million Indians will regularly purchase items online by 2020 – at least half of whom will do most of their buying on a mobile device. India stands on the cusp of dramatic growth in Internet and e-commerce activity led by strong smartphone penetration. With total e-commerce sales in India projected to climb to $80 billion by 2020, the channel is a high priority for HCCB. “With 65 percent of India projected to be in the age group of 12 to 29 by 2020, the future of India will be shaped by the mega trends of digital and e-commerce. We aim to capitalize on these trends leveraging our existing bottling infrastructure in route to market and sales to gradually build a direct to consumer business which could become a powerful competitive advantage in future,” said Rohit Gothi, executive director of market operations for HCCB and Coke2Home operations lead. Coke2Home was developed by the India unit of The Coca-Cola Company's Bottling Investments Group (BIG), under the leadership of HCCB CEO T. Krishnakumar, to take advantage of the rapid growth of e-commerce and provide consumers an added avenue for browsing and ordering Coca-Cola’s full range of beverages from a desktop computer or mobile phone, 24/7, and get the shipments delivered to their home. HCCB currently is piloting the Bringg on-demand delivery platform, an Uber-like system that ensures faster delivery of Coke2Home orders. The system uses a hub-and-spoke model, where bikers can claim online orders on a GPS-enabled mobile app and pick up shipments from a fully stocked Coca-Cola delivery truck parked nearby. Shoppers can use the app to track their order in real time – just as they would on an Uber ride – and post feedback on their overall experience. With rising disposable incomes, on-the-go lifestyles and snarling traffic in urban areas fueling growth of India’s online grocery channel and on-demand services, Coke2Home is just getting started. “High consumer trust with our brands, relevant ocassion, brand, price, pack and channel (OBPPC) execution, focused digital marketing and consistent delivery service have been our drivers of growth,” Gothi said.